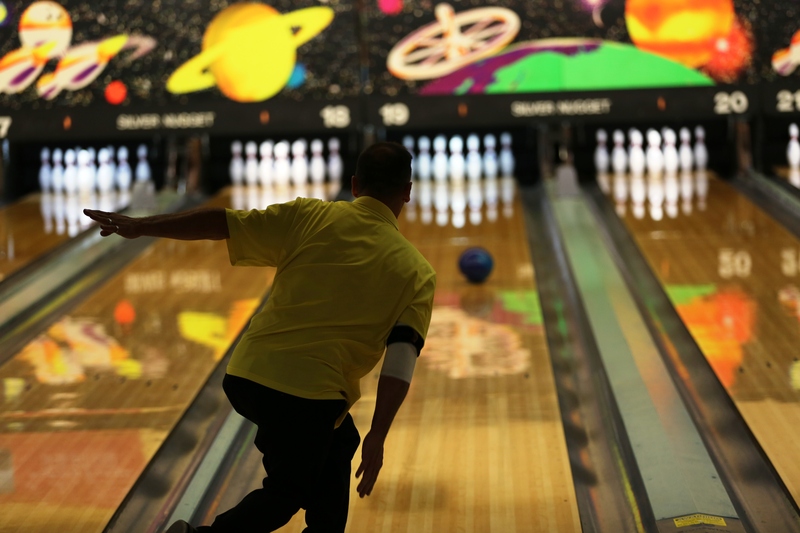 The 2019 Forty Frame Game USA tournament will run March 8th through July 7th (unless extended by the USBC) at the Gold Coast Hotel & Casino in Las Vegas. Daily squad times will be 10:00 am, 12:00 noon, 2:30 pm, 5:00 pm and 7:30 pm (squad times may change due to the Gold Coast lane availability). Reservations are necessary. Call (800) 837-4010 before you arrive. As per USBC Rule #318, a minimum of 2 entries constitutes a squad and these entries must bowl on the same pair of lanes. Electronic registration is done on site at the bowling center the day you bowl. To make a reservation, call (800) 837-4010. The Forty Frame Game is a singles format and is USBCBA/USBCWBA certified. Men and women entries are welcome. The cost is $70 per bowler. First place wins $15,000 and 2nd place is $7,500. Projected prizes are based on 7,000 entries. The top 4 finishers qualify for The Forty Frame Game National Championship held in Las Vegas in November 2018. For tournament rules, promotional information and an entry blank, click on the downloadable forms at the top of this page. Ladies Doubles Division ~ Our Ladies Doubles Division is a part of The Forty Frame USA. Interested ladies must enter The Forty Frame Game first and then also enter the Ladies Doubles Division event. The total score bowled will count for The Forty Frame Game and The Ladies Doubles Division. The Ladies Doubles entries will qualify for the exclusive team prize list and the winner will qualify for The Forty Frame Game National Championship Finals in Las Vegas. All individual prizes such as Pay Days, Bingo, Bango, Bongo and the Big Whammy will be earned in The Forty Frame Game USA. The Ladies Doubles Division starts with The Forty Frame Game USA tournament on February 17 and ends July 9, 2017. The fee for this optional event is $10 per lady. For more information on the Ladies Doubles Division, see the Ladies Doubles page on this website. Optional Events ~ Woof-Woof Strikes, Big Ten Strikes, Handicap Doubles, Natural Doubles, Big Lucas, and Sweep It Clean are available. The fee for all optional events (except Natural Doubles which is $10 per bowler) is $5 per bowler per event. Kegler’s Cash is also offered. For more information, see the Optional Events page on this website.